With over 50 years in the industry and more than 600 staff, Maples and Calder is a leading international law firm advising global financial, institutional and business clients on the laws of the Cayman Islands, Ireland and the British Virgin Islands. 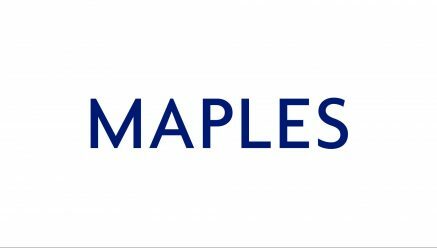 Maples and Calder was founded over 50 years ago and today is a leading international law firm advising financial, institutional and business clients around the world on the laws of the Cayman Islands, Ireland and the British Virgin Islands. With over 600 lawyers and support staff spanning seven jurisdictions, Maples and Calder is known worldwide for the quality of its lawyers. Senior lawyers at the firm are market leaders in their areas of expertise. The extensive experience of the practitioners, the depth of the team and a collegiate approach are main characteristics of the firm. This enables the firm to provide the highest quality legal advice to its clients on transactions ranging from the commoditised to the largest and most complex deals. Maples and Calder gives expert advice on a wide range of fund-related matters, including issues arising from funds’ structuring, restructuring and dissolution. When the need arises, both our contentious and non-contentious lawyers work in teams to advise funds and their directors on winding down or restructuring issues. We also act for leverage-providers and counterparties to distressed funds. We frequently assist creditors, investors, liquidators and service-providers in contentious liquidations and parallel foreign bankruptcy and regulatory proceedings. Maples and Calder has a network of offices around the world comprised of locations which include the British Virgin Islands, the Cayman Islands, Dubai, Dublin, London, Hong Kong and Singapore. The service provided is enhanced by the strong relationships the firm has developed with leading legal counsel in the major financial and commercial centres around the globe, delivering time zone convenience and a global multi-office capability. For fiduciary services requirements, the firm provides a seamless, "one stop shop" capability through its affiliate MaplesFS.